October 23, 2016 - 1:38 pm Marilyn F.
I repeat the same phrase “OK, I don’t need another one” quite frequently myself. 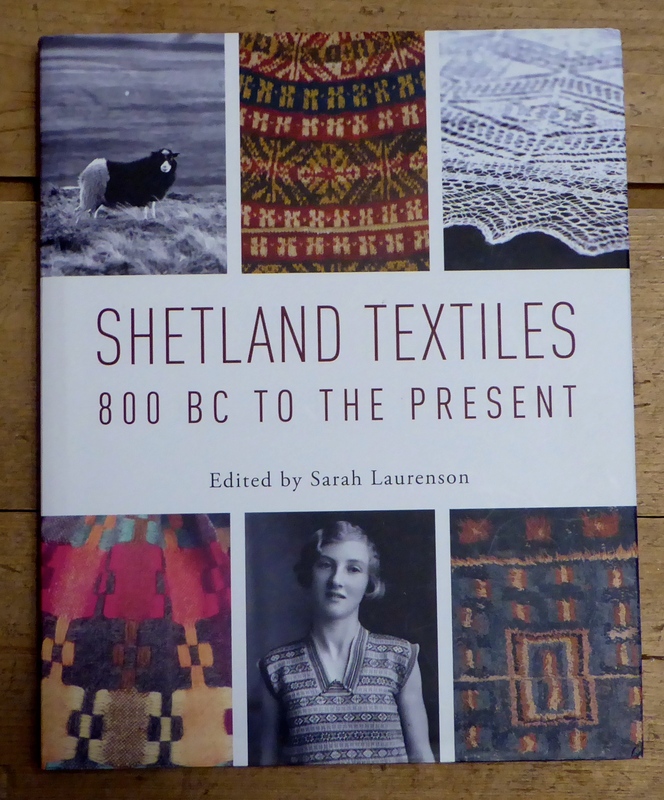 Amazing how we can fall in love with a book, its patterns, text, and photos and dream about future projects. I’ve been doing it for decades now and have got quite a large selection of books. You made a good point to purchase only books that are written by people who live in the region they come from, as they know what they are talking about. 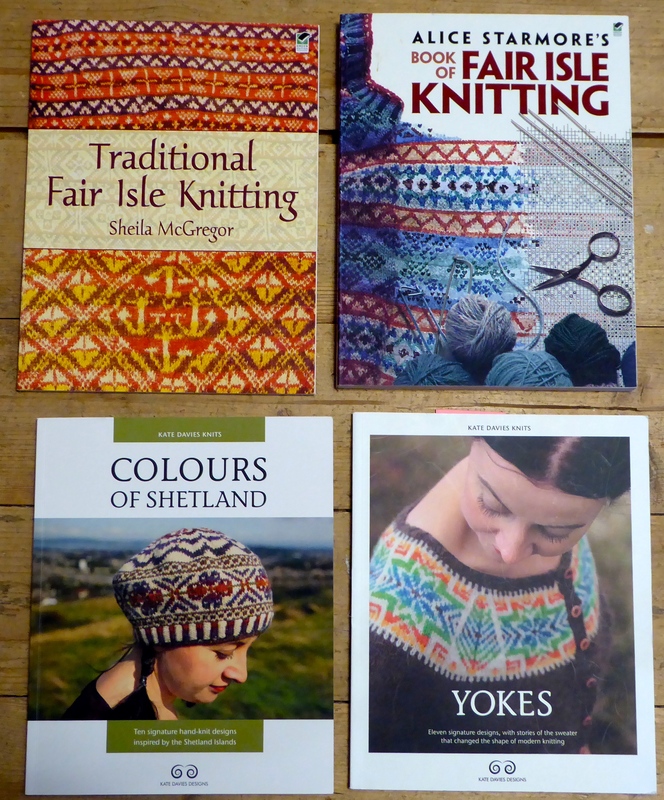 Ethnic knitting is so interesting whether is is from Shetland, Estonia, Lithuania, Scandinavia, Russia, Turkey . . . thank you for sharing some of the books in your library and your knowledge on the subject. Ah, so glad to hear you’re a book collector, Marilyn! I would have much more books hadn’t I been a librarian. May sound weird, but having a big library at your disposal every day may have the effect of not buying so many books, because you can borrow them from your work. I only have 4 meters of textile books, some 2 meters of textile magazines, and 2,5 meters of files with copies from magazines and books. Not much in my age! October 23, 2016 - 4:09 pm Marilyn F.
oh, yes, I do collect and love books. Unfortunately, I have not gotten to the point of borrowing them – which makes so much more sense. You are smart that way! I have at least 2 bookcases in each room and I have learned to narrow my interests mostly to knitting when I go to a used book store or else I get into trouble. LOL. Like you, I also copy patterns and have come up with a new phrase “I’d better stop collecting patterns and start making them or they will never all get knit up as I approach the golden years.” LOL. Thanks for sharing. I concur with Marilyn. There are only a few that you mention I do not have and I keep HOLDING MYSELF BACK haha I am glad you were able to add to your library when you were there. A real Thrill! 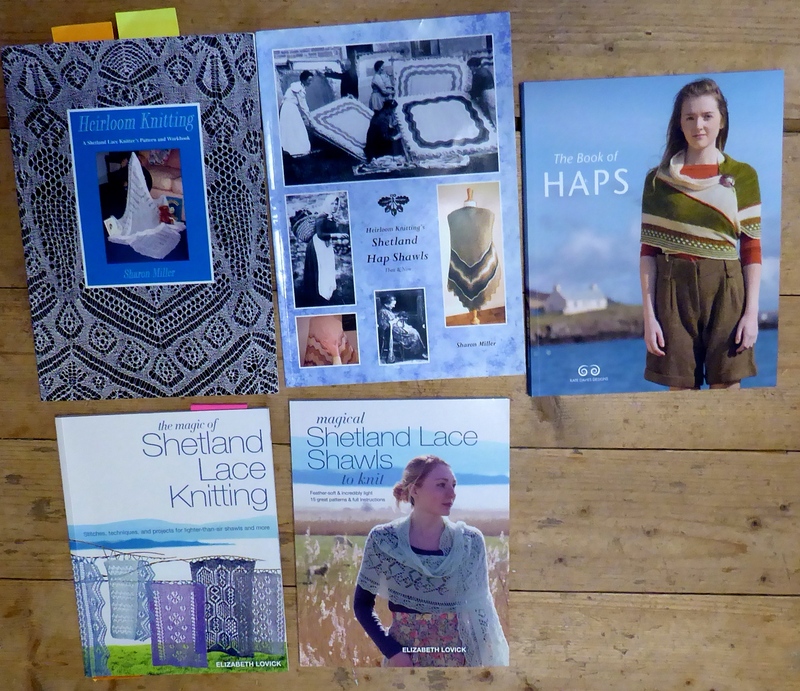 I love the Shetland Textile book and keep looking at the lower middle picture with the interesting neck feature. Yes, the neckline is interesting. Pretty! I’m sorry, but I really don’t know. 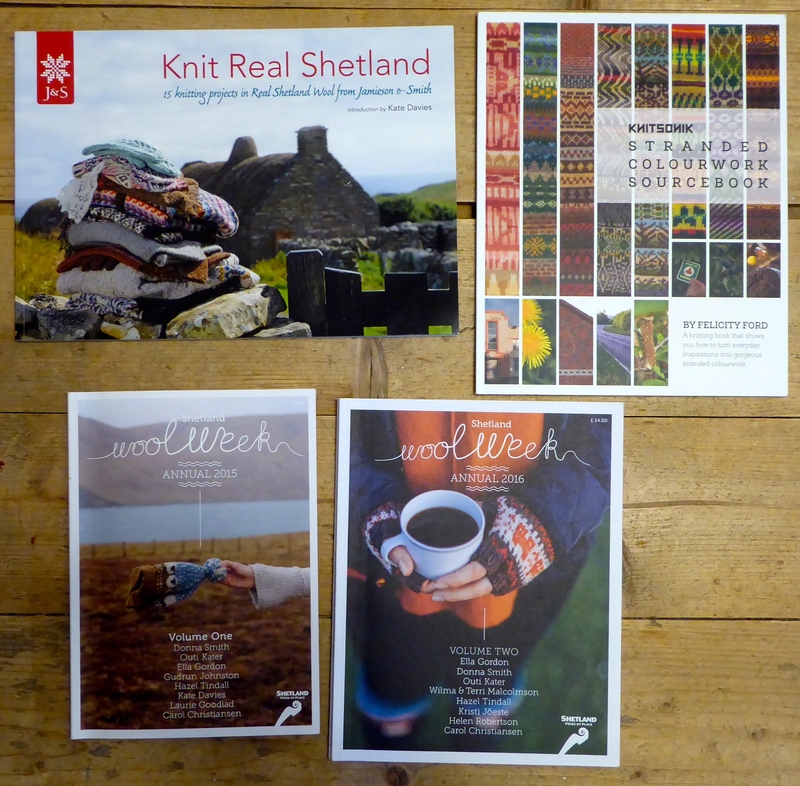 Have you tried the Shetland Wool Week groups on Ravelry and Facebook?